Laser vein removal in Spring Hill FL performed by the Board-Certified Vascular Surgeons at The Vein & Vascular Institute of Spring Hill, helps patients suffering from varicose veins to painlessly and quickly get rid of their varicose veins to avoid the risk of developing a blood clot in their leg veins. Laser vein removal is a non-invasive treatment method that helps patients to enjoy quick recovery time after varicose veins are removed. Patients can resume their daily activities within 24 hours after the treatment is performed. Thousands of patients who have already had their varicose veins removed using laser vein treatment are enjoying life now with healthy legs, free from varicose veins, minimal to no scars on their legs, and are also living free from the risk of developing blood clots in their leg veins. Laser vein removal for varicose veins is a treatment that is covered by most insurance providers because varicose veins are not just considered a cosmetic issue. Varicose veins are classified as a dangerous vascular disease because blood clots that form inside of them can travel to the lungs, causing a pulmonary embolism that can cause death. Varicose veins do not go away on their own, they only get worse with time, growing bigger and bigger and increasing the chances of developing a blood clot within them. At The Vein & Vascular Institute of Spring Hill, our vascular surgeons can safely and painlessly remove your dangerous varicose veins using non-invasive laser vein removal. 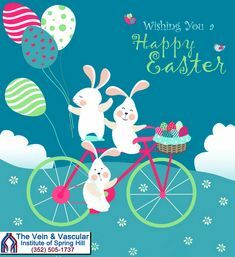 Our Spring Hill Vascular Surgeons recommend that you schedule a vein consultation if you are suffering from varicose veins. To schedule your vein consultation with one of our vascular surgeons, give us a call at (352) 505-1737. Our Board Certified Vascular Surgeons can quickly and safely remove your varicose veins with advanced and minimally invasive surgery techniques, leaving your legs looking and feeling great. At our vein clinic, we use Sclerotherapy Injections for quick and safe removal of spider veins, bringing the beauty back to your legs with just a few spider vein treatment sessions. Our Top-Rated Vein Doctors can help you get relief from your tired, achy and swollen legs caused by deep venous insufficiency before your symptoms get worse and lead to leg ulcers or blood clots. Early detection and treatment of Peripheral Arterial Disease (PAD) can prevent its devastating possible consequences such as heart attack, stroke and limb loss. Schedule your vascular consultation today. Our Vascular Surgeons can easily find out if you are developing a Thoracic or Abdominal Aortic Aneurysm and can treat you using minimally invasive procedures that can save your life. If you have developed plaque in your carotid artery, minimally invasive Carotid Artery Surgery can be one of the best solutions to improve blood flow through your artery to avoid a stroke and even death. To more accurately diagnose and more precisely treat Iliac Vein Compression (May-Thurner Syndrome), our Board Certified Vascular Surgeons use IVUS Intravascular Ultrasound technology which allows them to get ultrasound images from within the iliac veins. If your doctor has prescribed you dialysis treatment, AV Fistula Surgery, performed by our Board Certified Vein Surgeons will help make your future dialysis treatments safer, easier and faster. I recommend Dr. Goldbach for arteries or any vein issue…he’s easy going, he’s fun, he’s funny. He jokes, he comes in with a smile even though he might have had a rough morning, he still comes in happy. He’s just bubbly. When you meet a doctor and he’s friendly, bubbly…somebody you can talk to. He cares about what he does. I had a very specific varicose vein in my left leg…It was a little bit unsightly so I was always self-conscious of it. I came in for the varicose vein laser surgery…if you see my before and after pictures you will be amazed. I got to take those bandages off and I was shocked because that thing that had traveled with me my whole life, that big varicose vein was gone.